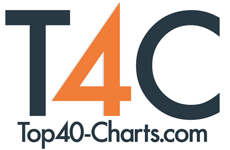 New York, NY (Top40 Charts) Leah Capelle, the very talented and versatile singer and songwriter from Chicago has been into the perpetual limelight for quite some years now. With many popular songs and albums in her closet, she is all set to rock this year with her newly released album, Giants, which showcases some of her brilliant writings and vocal skills and establishes her stand in front of a vast range of audience, fans, and followers. The single, Out Of Love, from her upcoming album, is already released in the online media platforms and there is no doubt it is gaining immense appreciation and fame from her ardent listeners and critics as well. Hailing from Chicago, Leah had chosen her career and passion from a very young age. Trained in music from Chicago School of Professional Singing, The Musician's Institute and Berklee College of Music, she moved to Los Angeles later to pursue her career in music. She had been performing music shows from quite a tender age and has become familiar with stage and audience. With music in her heart and confidence in her tone, she released her debut album with the Grammy-winning producer, Jeff Bova, in 2015. From then onwards her career graph saw an exponential gradient. She never looked back. She released many singles after that which claimed appreciation from many renowned musicians and artists. With her new release, she is back to groove her audience with the various colors of her mood and experiences in life. Out of Love, is a single which smoothly glides in between the notes of alternative and pop tunes and encapsulates an enchanting new tune that not only feels intriguing but immensely appealing as well. Woven in the strings of forbidden tales of love, deceit, heartbreak and failures, the song is a recapture of the memories that everyone have suffered in their lifetime. Based on a mix of light and heavy instrumental backdrop the song portrays Leah and her highly trained vocals. Singing at a high pitch, she glides through the high and low notes with so much ease that it seems to be rolling over a curved path. Highly balanced yet equally spontaneous, the single seems to encapsulate her soul from the very beginning. A true artistic talent, she displays with this track. The lyrical structure isn't new. Anyone following her songs would know the incredible power her words have. It goes same for this track as well. Simple and apt, it holds the situation in such a way that the listener can actually imagine the whole story unraveling in front of their eyes. The difficult decision of moving on after a severe heartbreak is tough but with so heart wrenching words one could feel the strength and the urge to get moving. Influenced by the various obstacles in her life this track does bear a touch of reality which makes the song even more enthralling. In a word just remarkable. With structured instrumental support in the background, Leah has truly done an unbelievable job with this single, Out Of Love.